Yet another build information leaked online. 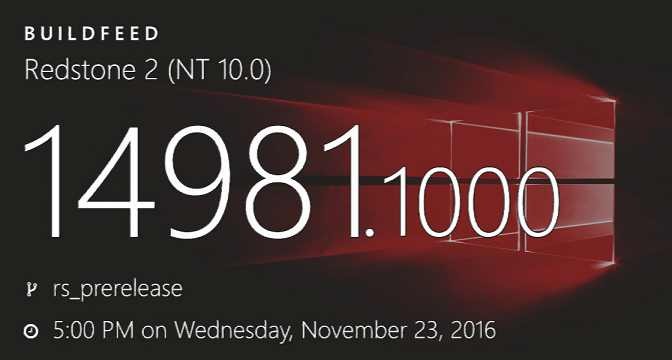 Windows 10 Creators Update (Redstone 2) build 14981 and mobile build 10.0.14981.1000 were compiled on November 23, 2016. The company is also testing cumulative update build 14393.571 for Windows 10 anniversary update users.